Kettle had about as humble a start as can be had. Our founder sold natural foods from a van way back in 1978. His original vision—great taste with real, less processed foods—has been our driving ambition ever since. Kettle has always been about real people who care about what we do. The time and attention each Kettle worker puts into our products, as each one makes its way from farms to our kitchens and then to your home, is care you can taste. It all began with a vision and a van—a vision to fuse the natural with the savory, to create a great tasting, wholesome product everyone would fall in love with. And a beat-up van that would become the very first Kettle Foods delivery truck. 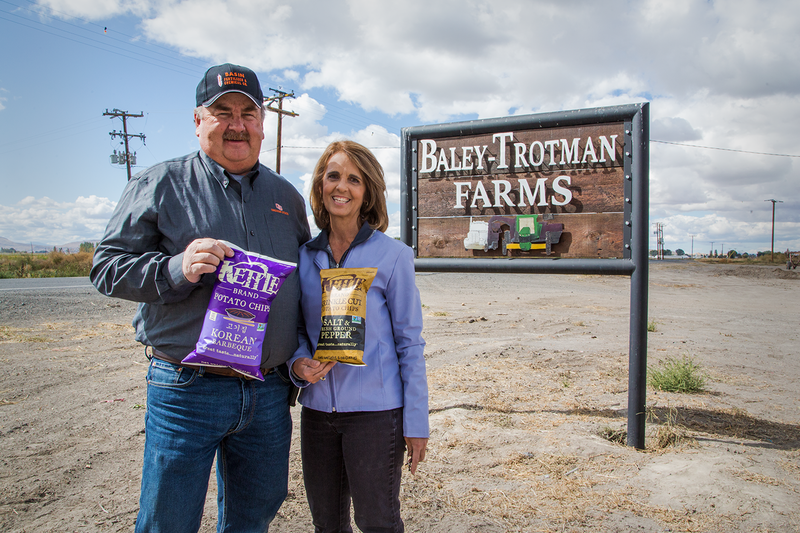 We had already been making roasted nuts and other natural goodies for a few years when, on that fateful day in 1982, we perfected the very first bags of Kettle Brand® potato chips. We probably should have kept them around to put in a display case someday, but they were just too darned good. Needless to say, an obsession was born. From that very first day, though, a single philosophy has guided us: use only the freshest, all-natural ingredients to create intensely flavored, wonderfully craveable potato chips you can feel good about eating. Over the years, we’ve carefully added new flavors and even expanded our line to include the Krinkle Cut™ variety, Kettle Brand® Organic Chips and Kettle Brand® Baked Potato Chips, creating entire new categories for our fans to love. Today, as we look back on those humble beginnings, we’re sincerely grateful to all the loyal fans that have made Kettle Brand® potato chips a part of their snacking life.